This beautiful Necklace Set is handcrafted in copper alloy with imitation polki of very fine quality and semi precious pearls . 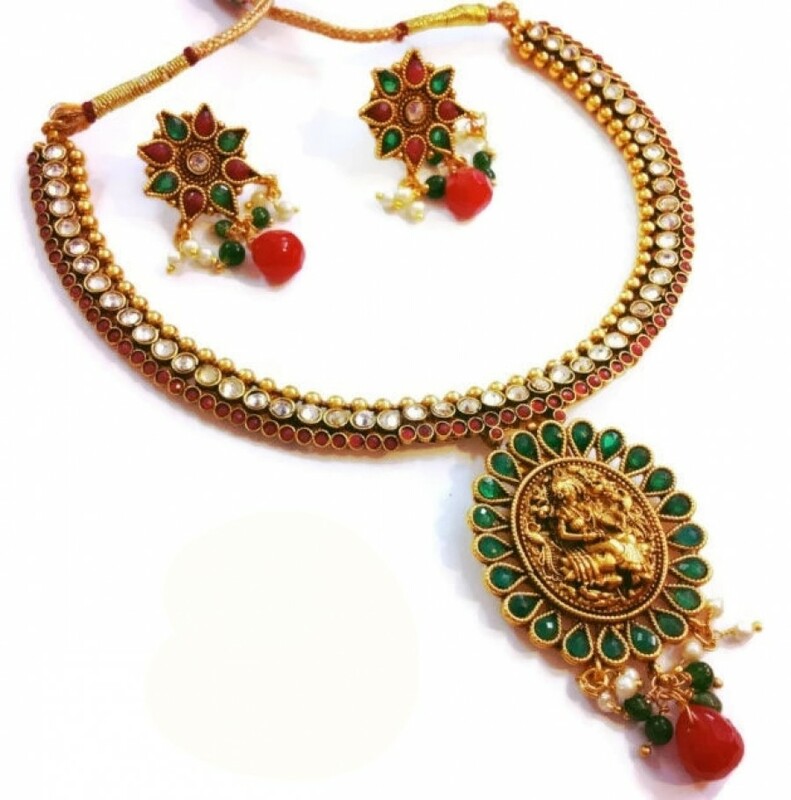 This necklace set is coated with 18 kt gold polish which give them a unique look . An absolutely stunning piece to own and are very light in weight. Ideal for weddings & other formal evenings. 1. Click on "Buy Now @ DIVINIQUE" on this page. 2. You will be redirected to "DIVINIQUE" Merchant Website.